Here's a little something to make you chuckle as you start another week at work. Is your pup in need of a little nick or tuck? 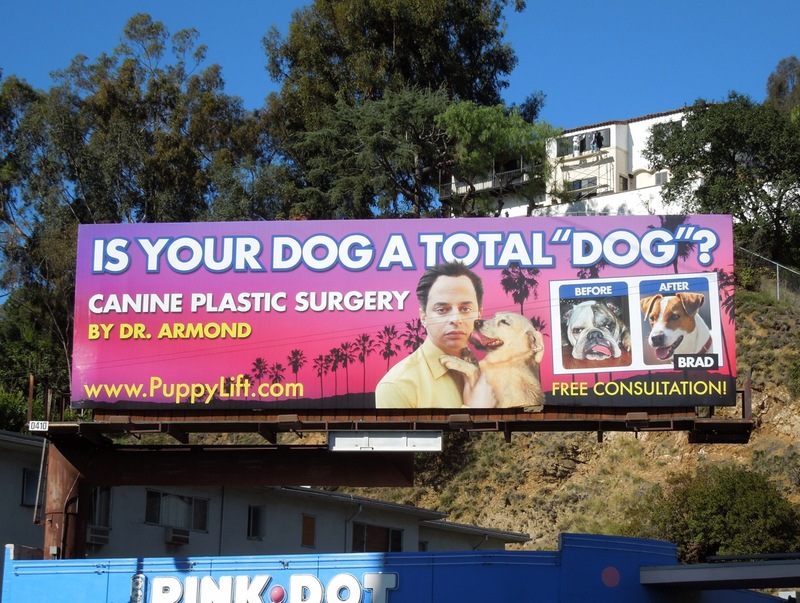 You may think, only in L.A. can you get canine plastic surgery, and by the looks of it you're right. 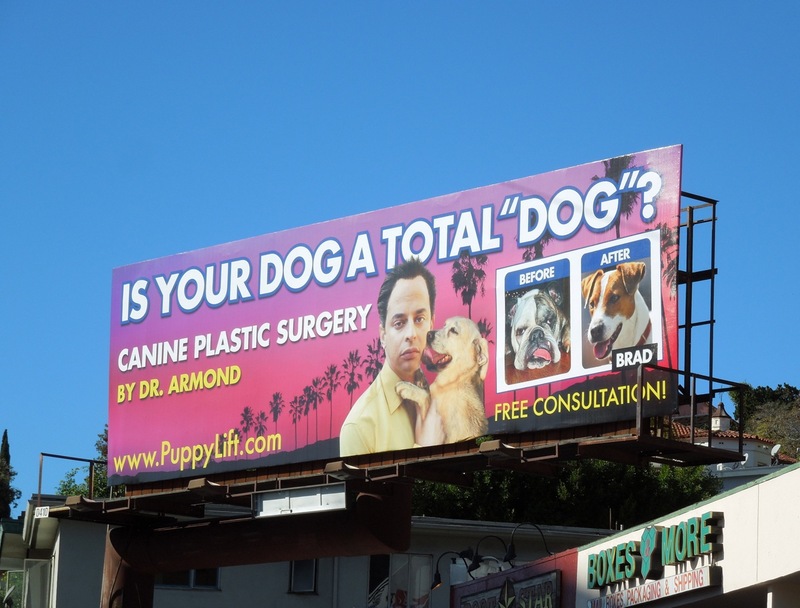 This puppy parody is actually for the Kroll Show, a new comedy sketch show from comedian 'Nick Kroll', and one of his characters 'Dr. 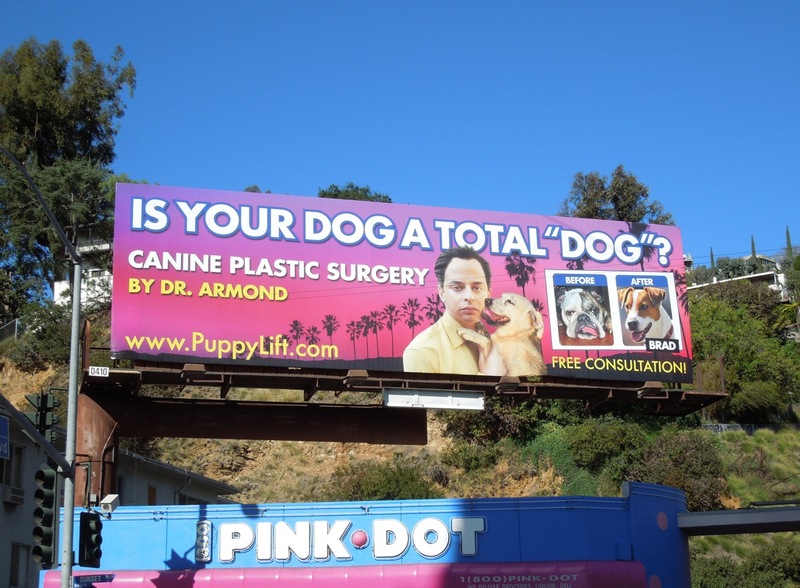 Armond'. It's pretty provocative and not everyone will get it or think it's funny, but it's certainly going to turn a few heads. This hilarious Comedy Central billboard was snapped at the top of La Cienega Boulevard along Sunset Boulevard on December 27, 2012. 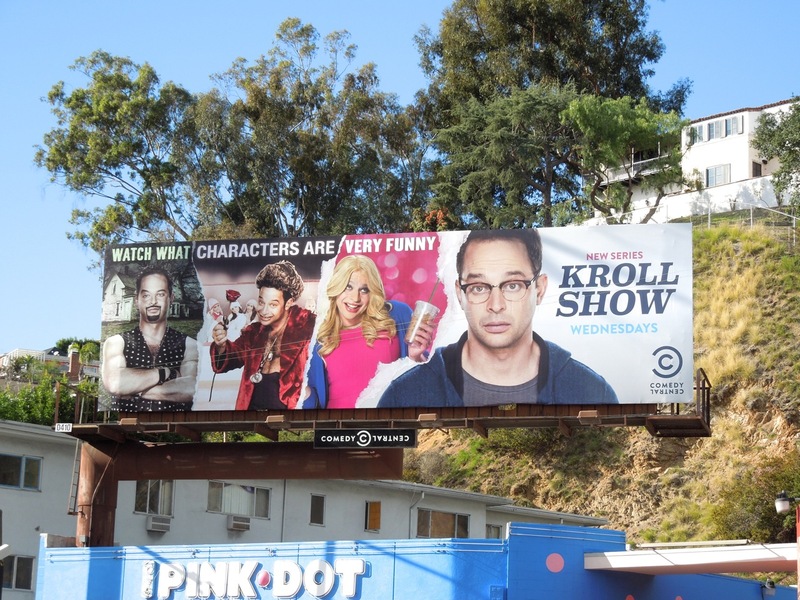 UPDATED: First came the parody teaser creative and now the official series premiere billboard for the Kroll Show, featuring a few more of the sketch show's characters. 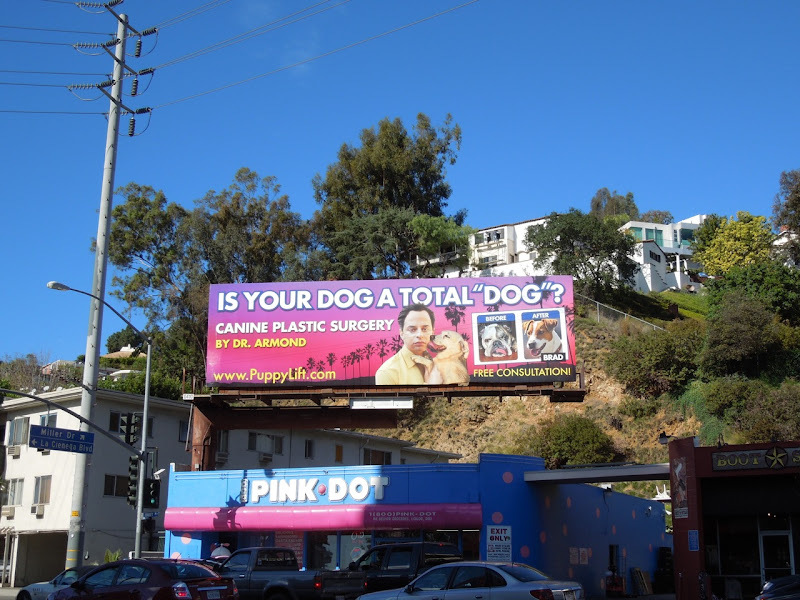 This TV billboard was snapped in the same location on January 7, 2012.